Extracts of Khus, Olive Oil, Palm Kernal Oil, Soyabean Oil & Essential Oils. The Cicatrisant activity of the Indian Khus grants this Soap amazing rejuvenating property. It promotes the re-growth of skin cells: which helps in removal of dead cells, fading of marks as well as in bringing newer, softer, younger skin to the surface! Khus: Boosts Cellular Renewal, Hydrates&Smoothes Skin. It is a pleasing Pale light Green colour Bar with Awesome smell. I loved the Smell very much, whenever I enter my Bathroom this smell comes around me and makes me Happy. This is really Awesome soap and lathers well, leaves skin clean. I can't say it leaves skin moisturised, but it is not leaving my skin stretchy or tight feeling after bath. Since, this is dry whether I am applying Moisturiser. I love my everyday bath because of it's lovely smell and natural ingredients. This soap makes my bath experience as a spa treat experience. ﻿Regarding For Radiant Complexion I have to use 2 more Soaps I think... Generally Indian Khus is good for skin. The lemon and olive oil present in it is good for skin complexion as well. 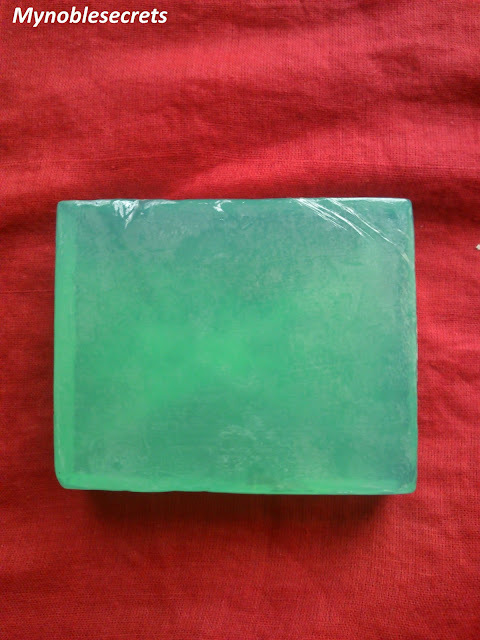 The soya bean oil presents in this soap is for healthy and for good complexion. It helps in fading pigmentation and helps to reduce blemishes. but, I didn't used this soap on my face. Generally I use face wash only for my face skin. I feel so refreshed after taking bath by this Vaadi Herbals Royal Indian Khus Soap. 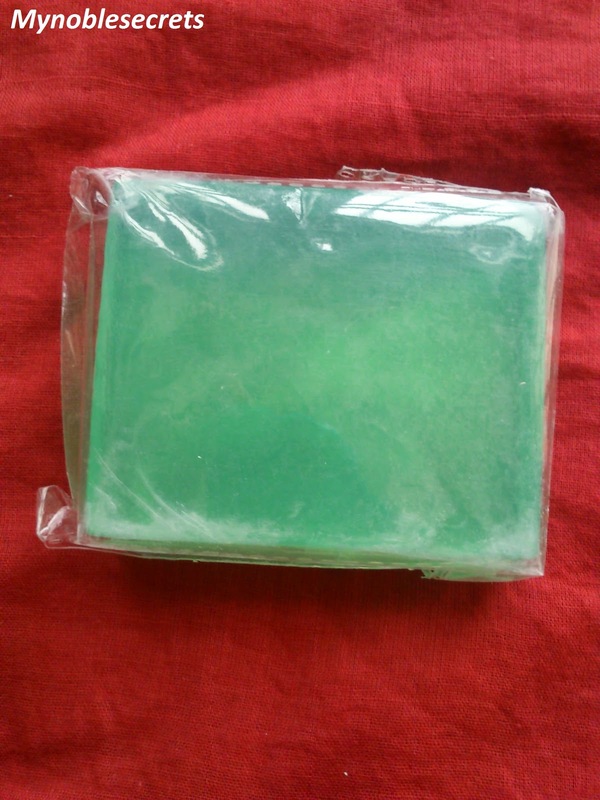 The soap claims the Indian Khus presents in it will rejuvenates and refresh your skin. I feel always that this soap cools my skin well, because Indian Khus in it. I am sure I will buy this soap again and again. Lovely Colour and Awesome smell. Leaves skin clean and normal after bath. No dry or stretchy feel after bath. 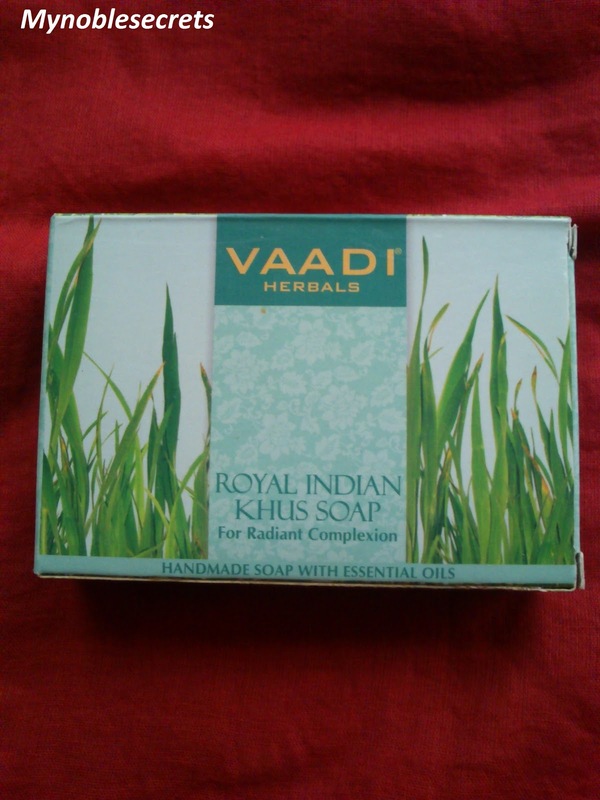 It is a best soap I found from Vaadi Herbals soap collections. Beauties, do try this soap and I am sure you will enjoy your everyday bath. i have this one and its a good products.